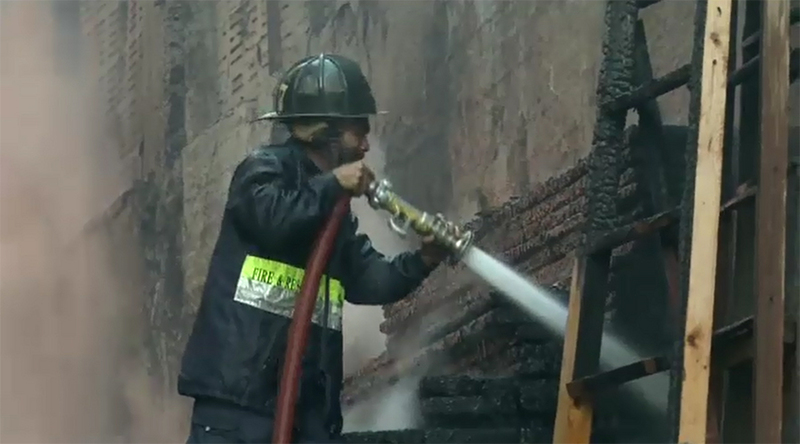 KARACHI (92 News) – The fire that break out at a wood warehouse in Purana Haji Camp area of Karachi has been put out. At least seven vehicles of fire brigade were called to put out the fire. The nearby residential buildings were evacuated after the fire.